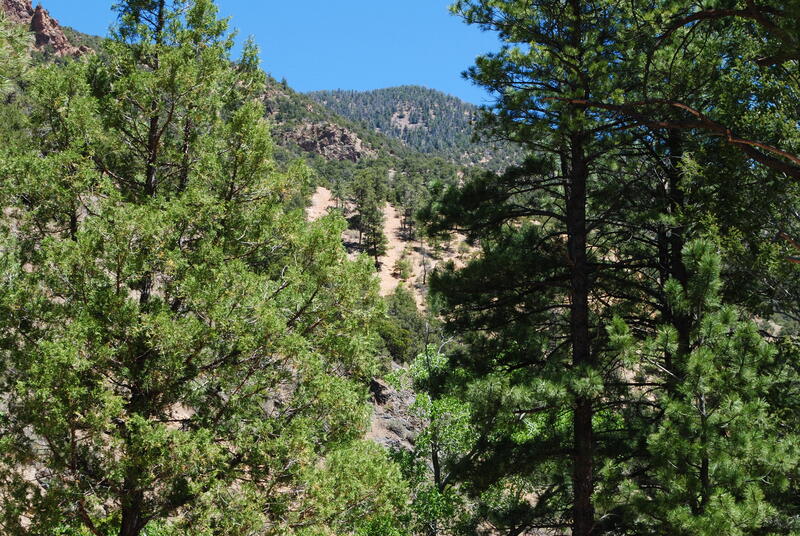 The RV Park we’re staying in for the month of May, in Questa, New Mexico, is nestled between the Carson National Forest, and Rio Grande del National Monument. We love spending time in the great outdoors, and this is the perfect place to get your fill of forests, rivers, and lakes, that for me, fill my soul, and make my spirit soar to new heights. 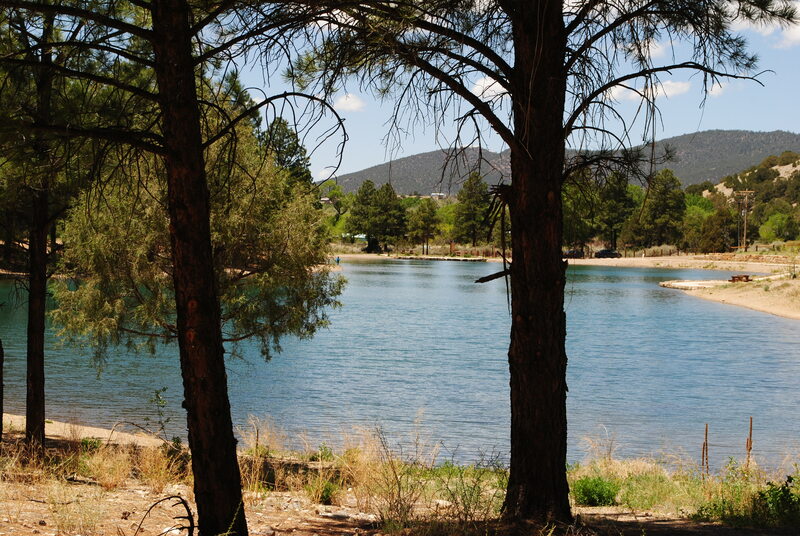 Within five miles from where we’re staying, is Eagle Rock Lake. 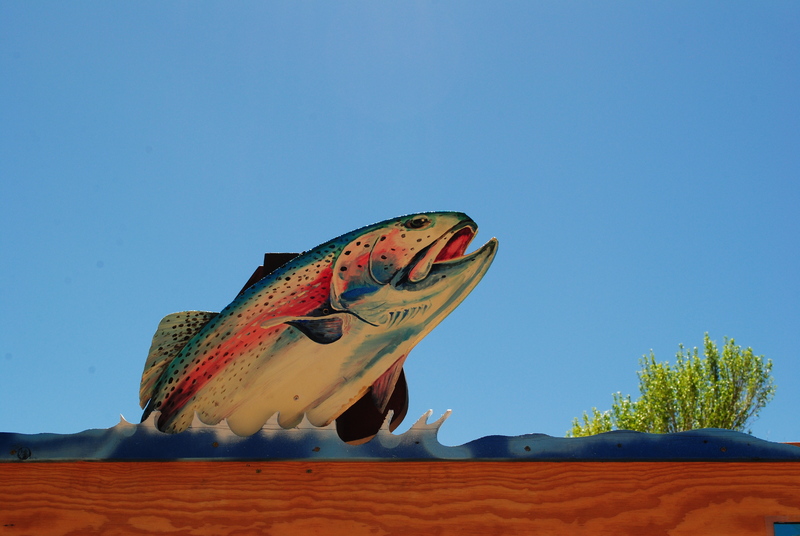 It is a small, day use area, that was designed to be a Fishing Lake. No overnight camping. No boating, swimming, wading or float-tubing. 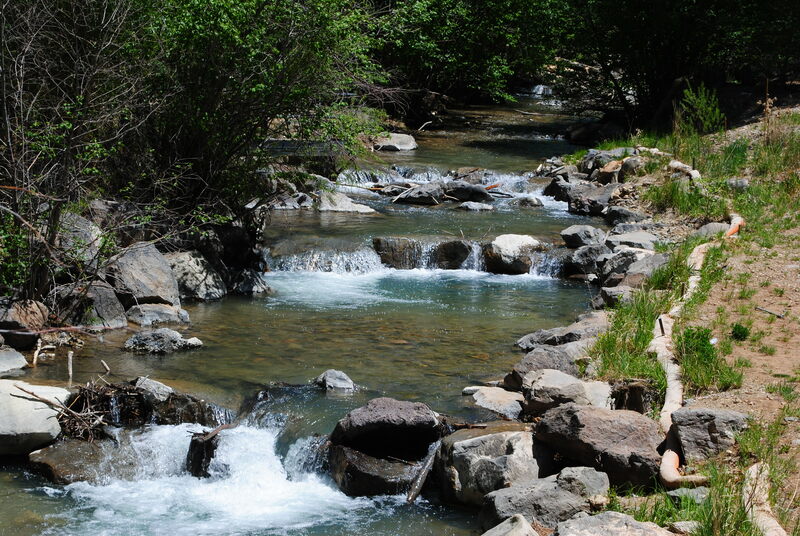 Just fishing, picnics, and/or walking or hiking around the area to enjoy the beautiful scenery. 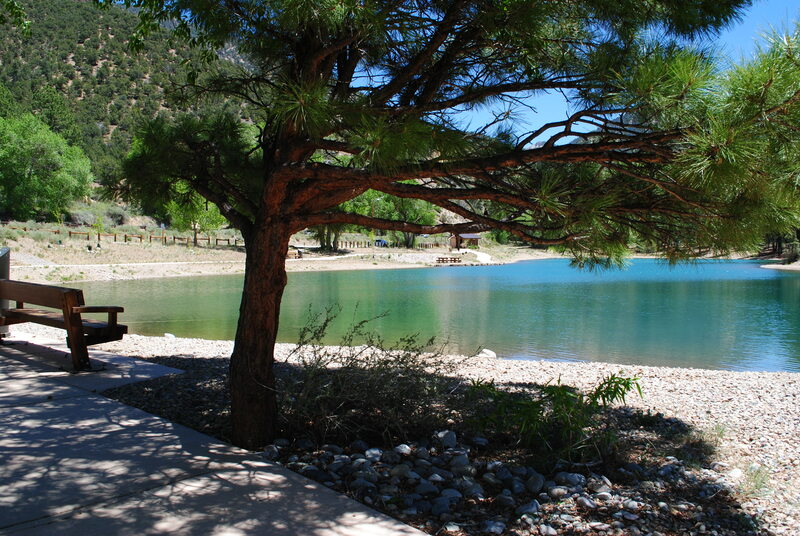 The water is a lovely green/blue, and there are lots of shade trees and benches, all around the lake. The views as you make your way around the lake are spectacular. Part of the Red River runs along side of the lake area. I so love to listen to the sound of water running over rocks. When we were first married, we lived in a small, one bedroom apartment, on the second floor. Right under our bedroom window, was a big water fountain that ran day and night. It was such a calm, and soothing sound, to listen to as we would fall asleep. The lake takes on different colors, and shades, as you look at it from different angles. 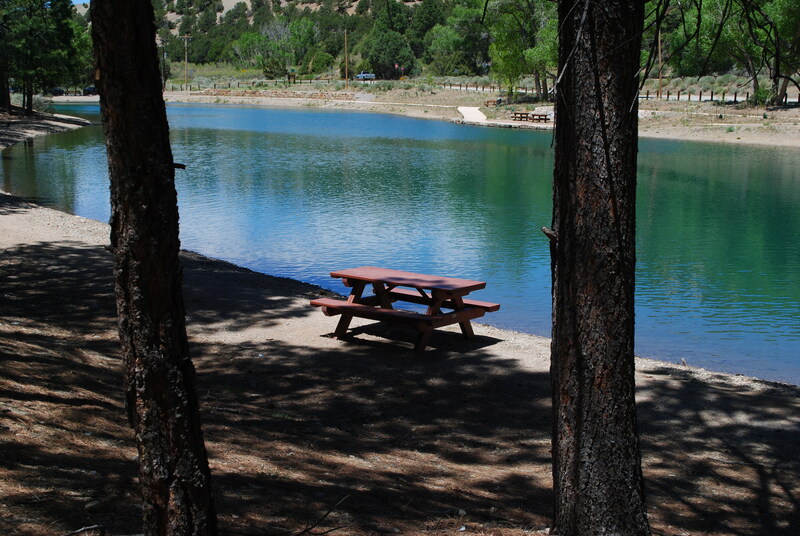 Picnic tables are placed around the lake, and they just beckon you to come, sit, eat, and stay awhile. 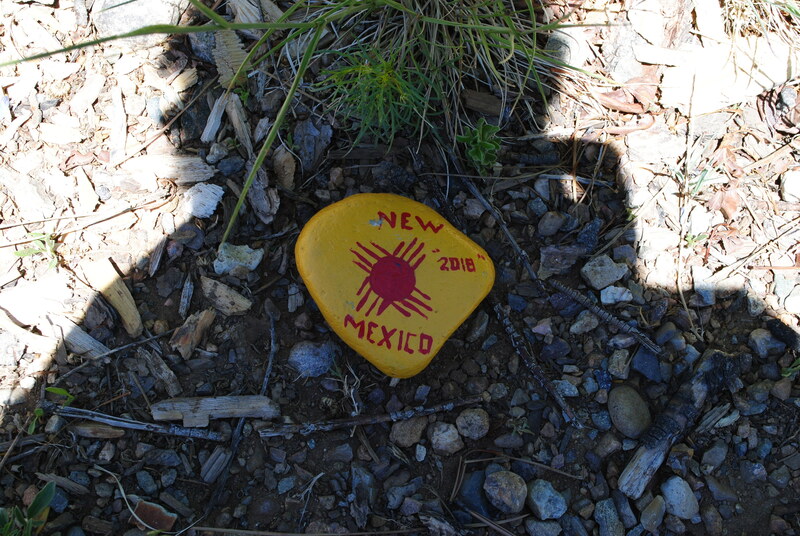 Shantel, I just happened to notice small rock, painted yellow with red lettering, that read “New Mexico 2018”. It was laying on the ground among some bushes and a few wild flowers. I took a picture of it and left it where I found it. 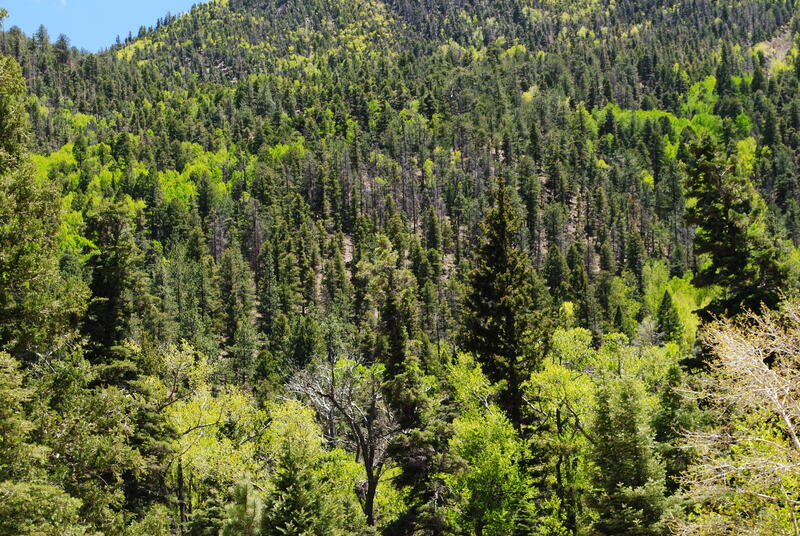 with spectacular views of the Carson National Forest area. Unfortunately, we were not able to make it to Cabresto Lake, because the last two miles are very rough forest roads, and it was posted that the road is not suitable for passenger vehicles, and our KIA is not four-wheel drive. But, it was well worth the attempt, because, once again, one never knows what one might find along the back roads… Check out this cool house. 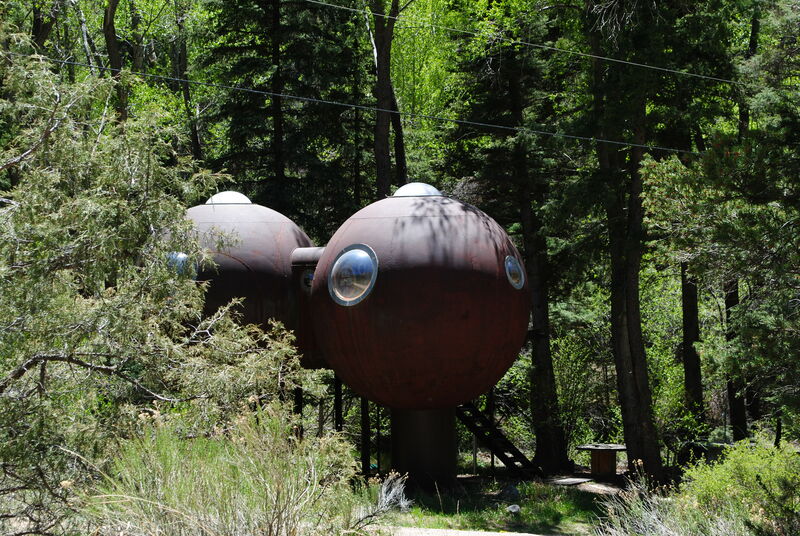 Shantel, this house looks like two big metal balls, which are the living areas, connected together by a large tube, and both living areas have big round windows.The living areas are elevated above ground, so they have wooden steps to get into the living areas. The whole structure reminded me of a giant red ant. All it needed to complete the image was a pair of black antenna’s. But oh, how I would LOVE to look inside that gem. 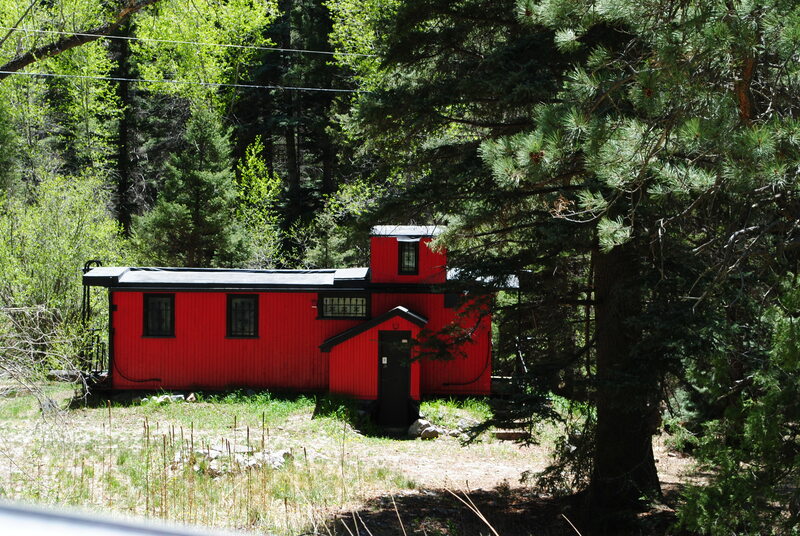 Shantel, it’s a small house, that looks like a train caboose. It’s painted red with black trim, and at first glance, it really looks like part of a train sitting in the middle of the forest. I thought it was just adorable. 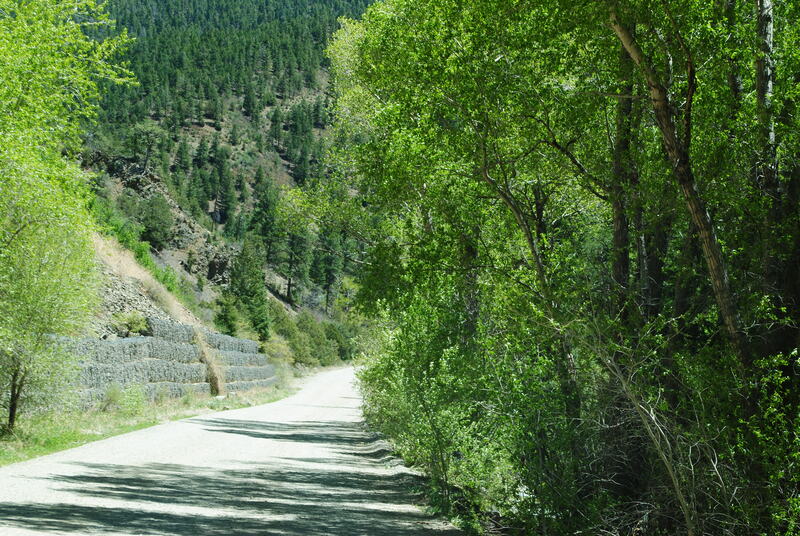 Speaking of trains, we booked our tickets for the Cumbres and Toltec Scenic Railroad train ride for when we get to Antonito, Colorado. And, SCORE, they are having a Father’s Day Special, where Papa/Bill gets to ride free with my full-price ticket. The train ride also includes lunch. So, YEAH, we will be taking that train ride on Father’s Day, and we can’t hardly wait! Another great day, and another great way, to spend our time here. Awesome view of the lakes and beautiful shade trees , and that would be so relaxing to take a short nap by the running waters😴. Love the ant house and the red train house. Wonder who lived there🤔. Don’t you just love coming across all these unique things? I’ve read there’s a group that puts these rocks all around for children and even adults to find them! Cool. And how awesome you got a Father’s Day deal! Can’t wait to hear all about the train ride! Coolio…and carry on! LOVE YOU!